There may be many nutrition controversies in the media, but everyone can agree that adding fiber to your diet is beneficial. What is fiber though? Dietary fiber is a non digestible component that is commonly found in plants. Dietary fiber helps relieve constipation, lower cholesterol, increase satiety and help prevent breast and colon cancer. Soluble fiber can also lower cholesterol by binding it in your digestive tract. Insoluble fiber is not fermented by the gut bacteria and helps prevent hemorrhoids and constipation. Having a good mix of both types of fiber is healthy for your digestive system. The Institute of Medicine recommends women eat 25 grams of fiber per day, while men need to eat 38 grams of fiber per day. However, most people fall short. When increasing your dietary fiber some people notice an increase in flatulence but this typically goes away as your digestive tract adjusts. The best sources of fiber include whole grains, fruits,vegetables, beans, nuts and seeds. Here is a list of 41 high-fiber foods that taste good. Eating bran from different types of grains provides multiple types of fiber for a variety of health benefits. Bran is the outer coating of a grain that contains fiber as well as important vitamins and minerals like thiamine, folate and vitamin B 6. Bran can be sprinkled on top of you breakfast cereal (hot or cold), yogurt and pancakes. If you don’t like the texture, try adding a handful of bran to a smoothie or into a homemade muffin recipe. 12 g of fiber per 1 oz serving. 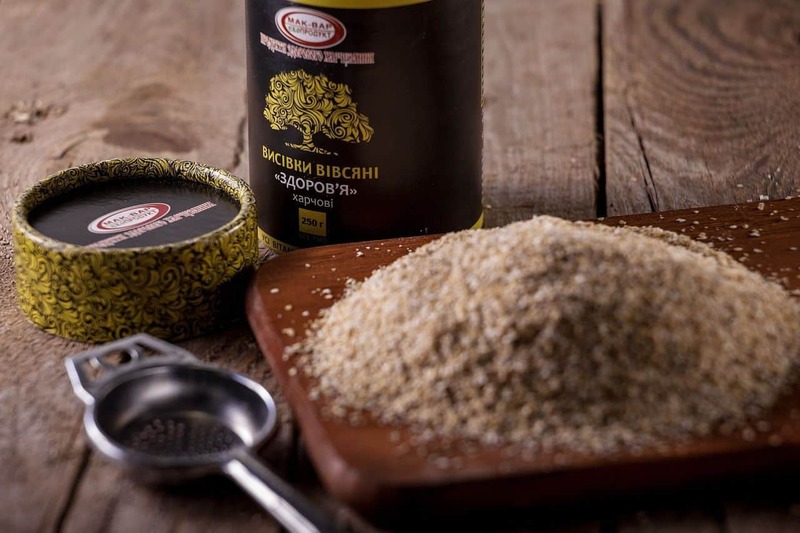 A good choice in soluble fiber, which helps lower cholesterol. 12 g of fiber per 1 oz serving. Rich in insoluble fiber, which helps prevent constipation. 22 g per 1 oz serving. A lot of bang for your buck! Corn bran is rich in insoluble fiber just like wheat bran, but has 10 grams more per ounce. This is almost an entire day’s worth of fiber for women, and greater than half for men. Try adding corn bran to hot cereal, muffins, and smoothies. Replacing refined grains with whole grain products is an easy way to introduce some more fiber into your diet. Whole grain products use the entire grain, while refined grain products strip off the outer coating of the grain that contains the fiber. In addition to being good sources of fiber, whole grain products also contain B vitamins and minerals like iron, magnesium and selenium. There are many varieties of whole grains to choose from, so even the pickiest of eaters can find something that they like. Whole grains can be used as a side dish, can be mixed into casseroles, or eaten on their own as bread, crackers, and pasta. 4 g of fiber per 1 cup serving. Switching from white rice to brown rice is an easy way to add more fiber to your diet. Brown rice has not been milled like white rice, so it tends to have a more firm texture but is bursting with flavor. Try using brown rice the next time you make fried rice or make a rice pilaf. Bonus: brown rice doesn’t stick to your teeth! 5 g of fiber per 1 cup serving. This unique grain can be found in most grocery stores in the baking aisle. Buckwheat banana pancakes are very light and fluffy and are a unique twist to a traditional breakfast meal. 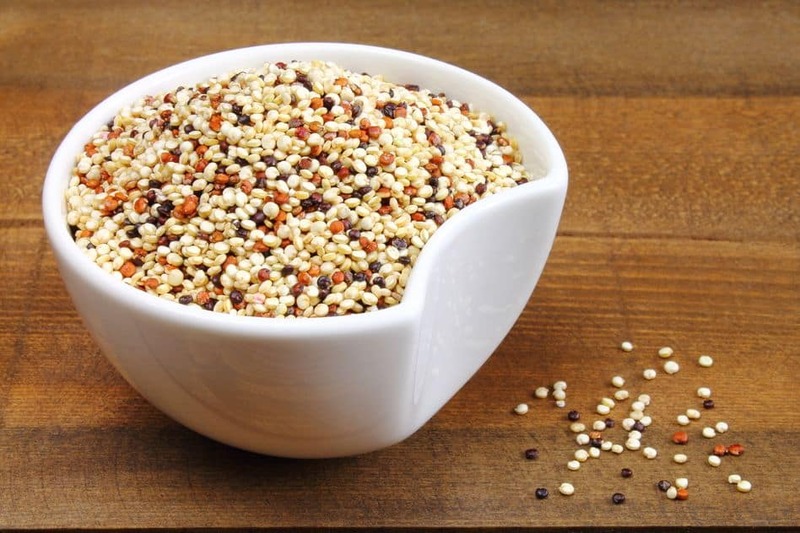 Buckwheat is also gluten free and can be a great substitute for those with Celiac Disease. 5 g of fiber per 1 cup serving. Quinoa has become more popular in recent years due to it’s light flavor and versatility. It can be used just like rice in side and main dishes. If you already like quinoa and looking for new ways to prepare it, try making a quinoa crust for pizza or add it into your breakfast bowl with fruit for a unique flavor profile. Quinoa is also gluten free. 6 g of fiber per 1 cup serving. Switching from regular pasta to whole wheat pasta is another easy way to get some extra fiber into your day. Whole wheat pasta is more resistant to breaking apart when boiling compared to regular pasta, but is still soft enough to reach the perfect al-dente texture. In a spaghetti with meat sauce dish, many people cannot even tell they are eating whole wheat pasta. It is definitely worth trying out! 6 g of fiber per 1 cup serving. Barely has a light earthy flavor that pairs great with mushrooms and spinach as a side dish. It can also be used like rice for pilafs and soups to add additional flavor. 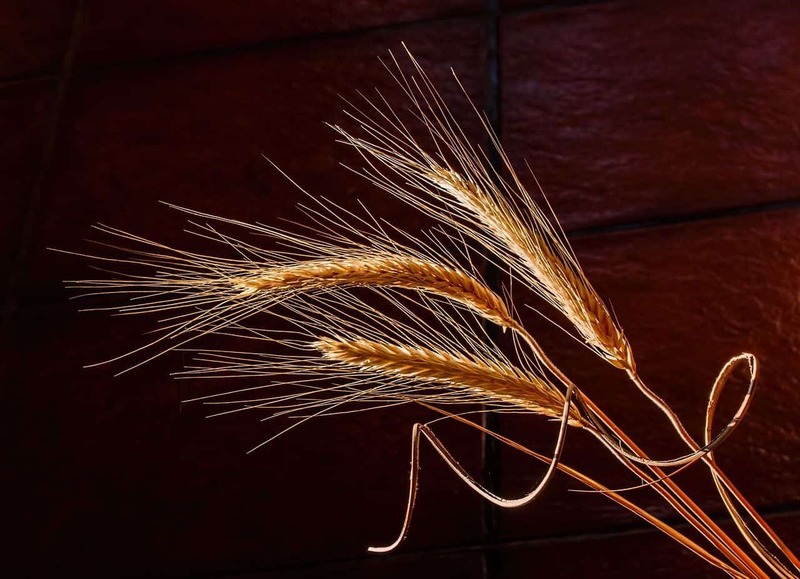 Barley does contain gluten, so people with Celiac Disease need to avoid it when possible. 7 g of fiber per 1/4 cup serving. Rye is commonly used to make dark breads that are popular in European cuisine. Dark rye bread like pumpernickel, german black bread, and marbled rye have a rich warm flavor and are typically used as sandwich breads or dipping breads served with soup. Rye also contains gluten like barley and wheat. 8.2 g of fiber per 1 cup serving. If you already eat oatmeal for breakfast you are in luck! Oatmeal is a good source of soluble fiber and beta-glucan, which can both help lower cholesterol. There are plenty of different combinations to spice up your normal bowl by adding fruit and nuts into the mix. For a fun twist, mix oatmeal with greek yogurt, milk and cinnamon in a mason jar. Leave it over night for a ready-to-go breakfast in the morning! Eating fruit is an important part of have a healthy diet. There are many varieties of fruit, but some offer a little more fiber than others. Many people eat sweet fruit flavored products believing they are receiving the same benefits as eating whole fruit, but this most often is not the case. Many fruit flavored products use artificial flavors and colors and a lot of sugar to sell their product without including any of the natural fiber, vitamins and minerals that real fruit has to offer. When in doubt, read the ingredient list! Always try to eat fresh whole fruit when possible, but frozen fruit and fruit canned in its own juice are perfectly acceptable alternatives. 6 g of fiber per 1 cup serving. Diced cubes are a nice way to mix up a standard fruit salad. Pears can also make a very refreshing appetizer. Simply slice a pear like you would an apple, coat one side of each slice with mascarpone cheese and then top with pecans and raisins. 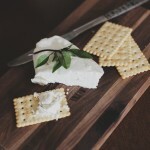 This appetizer is an easy and delicious addition for your next dinner party. 6 g of fiber per 1/2 cup serving. Prunes have long been associated with helping keep your digestive system regular, which is due in part to their fiber content. Prunes also have other compounds like phenols and sorbitol that can act as natural laxatives. A prune is simply a plum that has been dried to the consistency of a raisin. If you need a little kick during the day, there are some products that sell prunes individually wrapped so you can conveniently carry them with you. If you don’t enjoy the taste of prunes, try adding some into your next berry smoothie. The tartness of the berries will help mask the taste of any prunes you add in. 6 g of fiber per 1 cup serving. Jicama is actually a root, but it does have a crisp sweet flavor that is commonly associated with fruits. In addition to having fiber, jicama also contains vitamin C and potassium! Jicama is commonly consumed in Latin America, where is it typically cubed and served with tajin seasoning. If you don’t have access to tajin seasoning, try sprinkling cubed jicama with cinnamon and baking in the oven as a substitute. 7 g fiber per half avocado. Avocados have been getting a lot of love lately for their healthy fats, but they also have a hefty amount of fiber as well. 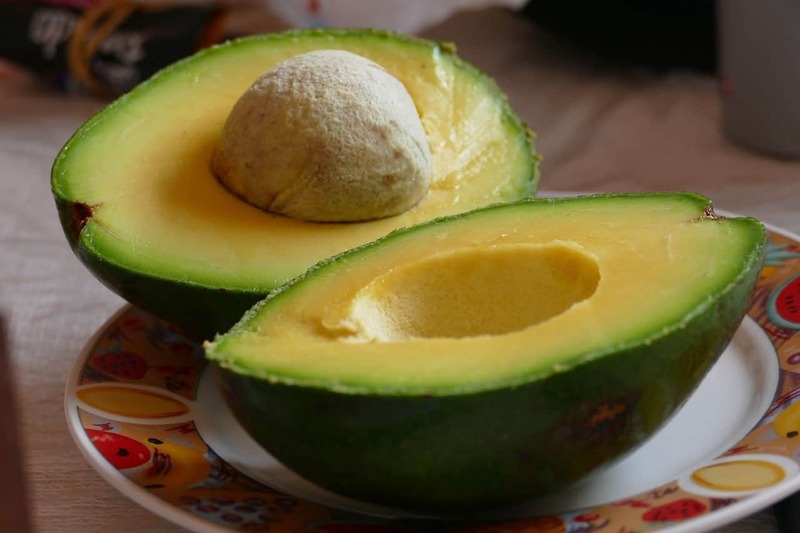 Avocado is typically consumed as a side dish called guacamole, but there are plenty of other ways to try this tasty food. Avocado tastes great on top of toasted whole wheat bread topped with a fried egg. Avocado slices also make great additions to sandwiches, salads and tacos. The possibilities are endless for this delicious treat. 8 g of fiber per 1/2 cup serving. Figs are native to the middle east and western Asia, and were rumored to be a favorite of the ancient Egyptian Queen Cleopatra. Fresh figs can be hard to find, but dried figs are delicious and can usually be found year round. Figs pair great with soft cheeses like brie and make for delicious appetizers and snacks. You can also bake figs marinated in honey and cinnamon to create a unique and refreshing dessert. 9 g of fiber per 1 cup serving. This tropical fruit is truly a treat when in season. Rich in vitamin C and fiber, guava is a great new fruit to try at home when it is in season. Guava juices are popular, however they do not contain fiber like the whole fruit does. I recommend slicing guava into cubes and enjoying this fruit in its natural form to fully appreciate is goodness. For a more fun idea, try blending guava with ice to create fruit pops to serve as a delicious snack on hot summer days. Berries may taste sweet but they are still packed full of fiber! The tiny seeds found in berries give them a higher fiber content compared to other varieties of fruit. Because of this, eating whole fruits and berries is recommended over simply drinking fruit juice because you get the additional benefits of ingesting the fiber. In addition to having fiber, berries are known for their antioxidants and phytochemicals that have health benefits of their own. The antioxidants found in berries have been associated with brain health and memory, in addition to being preventative against certain types of cancer. Increasing the amount of berries in your diet is usually met with little resistance from picky eaters due to their natural sweetness. Berries are great in smoothies, on top of yogurt, mixed into salads or as a dessert on their own. During the winter months when berries are out of season, opt for frozen packages of berries to save a little money. 7 g of fiber per 1 cup serving. 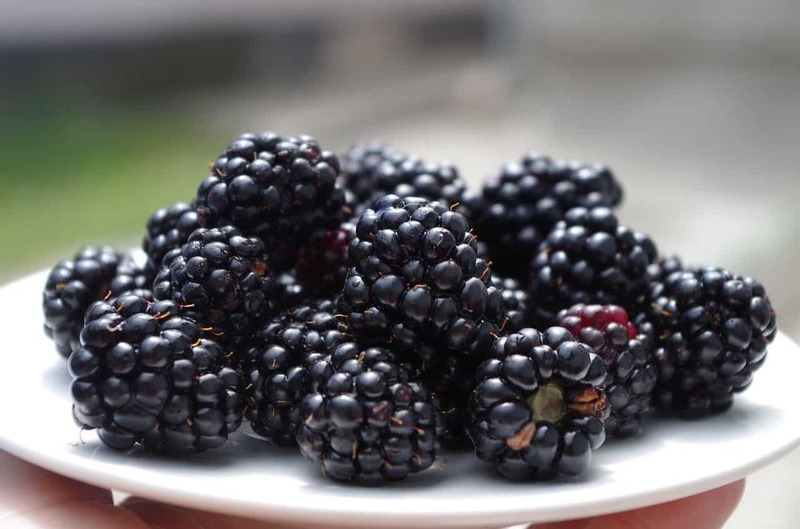 These dark berries are not commonly consumed, but they are sweet and nutritious! They can usually be found in dark fruit blends in the freezer section or as jams and jellies in specialty stores. If you find some don’t pass up the opportunity to try it! 8 gof fiber per 1 cup serving. Raspberries can be found all year long and can make any dish, snack or dessert even more delicious. Raspberries tend to fall apart in fruit salads, but they are wonderful in smoothies. For a unique way to use left over raspberries, try freezing and then and blending your raspberries in a food processor with greek yogurt and a dash of honey to make homemade frozen yogurt! This guiltless dessert is easy to make and sure to be a crowd pleaser. 8 g of fiber per 1 cup serving. Blackberries are more firm than raspberries and can withstand being in a fruit salad. For a fun family activity, try going to a blackberry farm near you and pick your own basket of berries! 10 g of fiber per 1 cup serving. Elderberries are teeny tiny purple berries and are not commonly found in grocery stores in their raw state, but can sometimes be found as preserves at health food stores. With 10 grams of fiber per serving, these berries are worth seeking out! These greens are a great source of fiber. Just another reason why it is important to eat your veggies! Vegetables can be sautéed on their own, added to soups or leafy greens can be torn into pieces to make a salad. My favorite way to eat leafy greens is to make a big vegetable sauté and add on top of whole wheat pasta with olive oil and parmesan cheese. 4 g of fiber per 1 cup serving. Swiss chard is a very versatile leafy green that works great as a salad and a sautéed side dish. In soups swiss chard is a great choice for soups because it holds its texture and doesn’t wilt as much as spinach. 4 g of fiber per 1 cup serving. There are countless ways to add spinach into your meals. It can be added to breakfast omelets, replace lettuce in sandwiches, be eaten in a salad, added to soups, and even added to pastas. 5 g of fiber per 1 cup serving. Sautéed collard greens are the ultimate comfort food when prepared with bacon bits and served with other homestyle favorites. Don’t be afraid to keep the stems in the mix! They will turn soft after sufficient cooking and contain a good amount of fiber. 5 g of fiber per 1 cup serving. Turnip greens can be prepared in a similar manner to collard greens, however they have a slightly sweeter taste and are less bitter. Both are great choices. 6 g of fiber per 1 cup serving. While this veggie tends to have a bad reputation, it can be very tasty if prepared the right way! 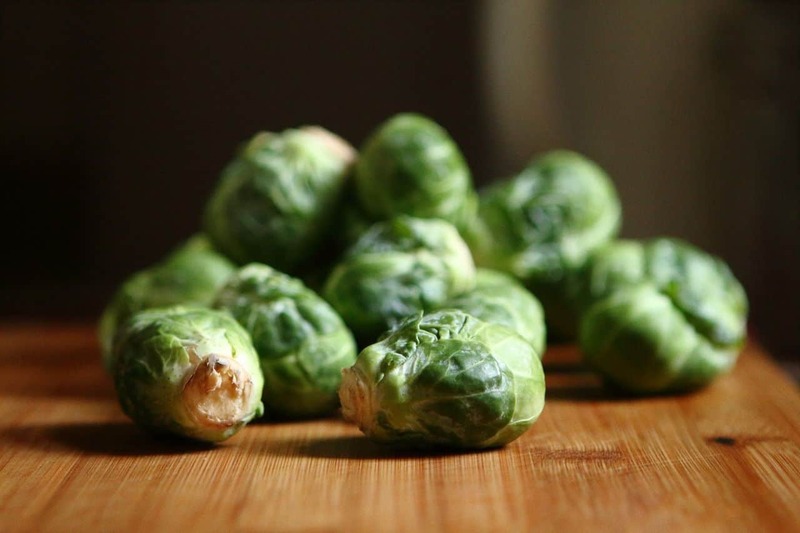 In addition to having fiber, Brussels sprouts are part of the brassica vegetable family, which is known for having protective effects against cancer. For cooked Brussels sprouts I recommend cutting them in half, drizzling with balsamic vinaigrette, and topping with bacon bits. For a shredded Brussels sprout salad, add honey Dijon dressing, shredded chicken, cranberries, walnuts and feta cheese for a light and healthy lunch. 9 g of fiber per 1 cup serving. You can eat this delicious vegetable as a side dish cut into cubes or pureed into a soup. My favorite way to eat acorn squash is to bake it, then fill with plain greek yogurt, honey and pecans. Yum! 16 g of fiber per 1 cup serving. Split peas soup is a delicious and easy way to get fiber on cold winter nights. In the morning simply add split peas, sliced ham, chopped carrots, celery, thyme, and chicken broth into a crockpot on low and come home to a hot and delicious meal. Beans, beans, the magical fruit! While beans technically are not fruit like the song says, they are pretty magical when it comes to fiber content. Beans have insoluble fiber, which makes them heart health. They also are good sources of protein and contain 7 grams per ½ cup, about the same amount of protein found in an egg. This is why beans are commonly used as a meat replacement for vegetarians. If you have diabetes, don’t forget that you need to eat beans in moderation because they also have a substantial amount of carbohydrate. Beans are great on their own as a side dish, but also add flavor to stuffed peppers, veggie burgers, queso, and soups. If you buy canned beans, look for the low sodium varieties. If you have the patience, buy dry beans and soak them overnight. Gram for gram beans are the cheapest form of protein and last much much longer in storage compared to meat products. 6 g of fiber per 1 cup serving. Edamame are unshelled soy pods that are typically steamed and salted for an appetizer. These beans are also a good source of protein. You can buy them in the frozen section and steam them on top of your stove for a quick snack, or you can throw them into your next veggie stir fry. Dried edamame is also a tasty addition to homemade trail mix. 11 g of fiber per 1 cup serving. Traditionally eaten for good luck on New Years Day, why not have good luck all year long? Black eye beans make a great salad with corn, diced tomatoes, diced purple onion, cilantro and lime. Like most bean varieties they also add heartiness and flavor to soups and stews. 12 g of fiber per 1 cup serving. If you like hummus, you’re in luck because it is made with garbanzo beans. You can buy premade blends at the grocery store, or make your own and add your own flavors. Garbanzo beans are also a fantastic addition to spice up a Greek salad. 14 g of fiber per 1 cup serving. Another hearty bean packed full of fiber. They go great in a vegetable beef stew, or as a side dish with halved cherry tomatoes and shaved parmesean. 15 g of fiber per 1 cup serving. An easy way to add pinto beans to your diet is having a side of charro beans when having a Tex-Mex inspired meal like tacos, enchiladas or quesadillas. However my favorite way to eat pinto beans is to place them in a crockpot with strips of ham to make a ham and bean soup. This meal also pairs great with corn bran muffins if you want to sneak some more fiber in there. 15 g of fiber per 1 cup serving. I love pureeing cooked black beans to use as a dipping sauce with tortilla chips. They’re also great in quesadillas and stir fries. 16 g of fiber per 1 cup serving. Lentils are filling and go great in chili. Lentils also make a great meat substitute for vegetarians. 17 g of fiber per 1 cup serving. These beans may have a funny name, but there is no joke about their fiber content! In addition to being a fiber powerhouse, 1 cup of these beans also provide about 25% of the recommended amount of iron, and 70% of the recommended amount of folic acid. These make great bean burgers and additions to hearty stews. 19 of fiber per 1 cup serving. White beans may not be the first bean that you grab at the grocery store, but for their fiber content it is worth experimenting to find a way to prepare them. White Bean Tuscan soup is a great way to incorporate white beans into your diet. Three bean salad (white, navy, and black beans with cilantro and lime juice) is also a very popular choice. For those who are looking to be a little more adventurous, try making white bean hummus! Just take cooked white beans and puree them with some olive oil, tahini, garlic, and black pepper. You’ll be surprised how delicious this hummus turns out to be. In addition to being an easy source of healthy fats and protein, nuts and seeds also provide a decent amount of fiber. Nuts and seeds are a great way to add texture to help keep your meals interesting. They can be sprinkled over yogurt, salad, and added to side dishes. 3 g of fiber per 1 ounce serving. Pistachios are a great snack food just on their own. They don’t spoil being left out and it is fun to crack open the shells. 4 g of fiber per ¼ cup serving. Sesame seeds are common topping in Asian cuisine. To make a healthy version at home, try adding sesame seeds to Asian salads, or make your own homemade sweet and sour dipping sauce with sesame seeds to spice up tofu or chicken. 5 g of fiber per 1 ounce serving. This delicious nut is a top source of vitamin E in addition to having fiber. 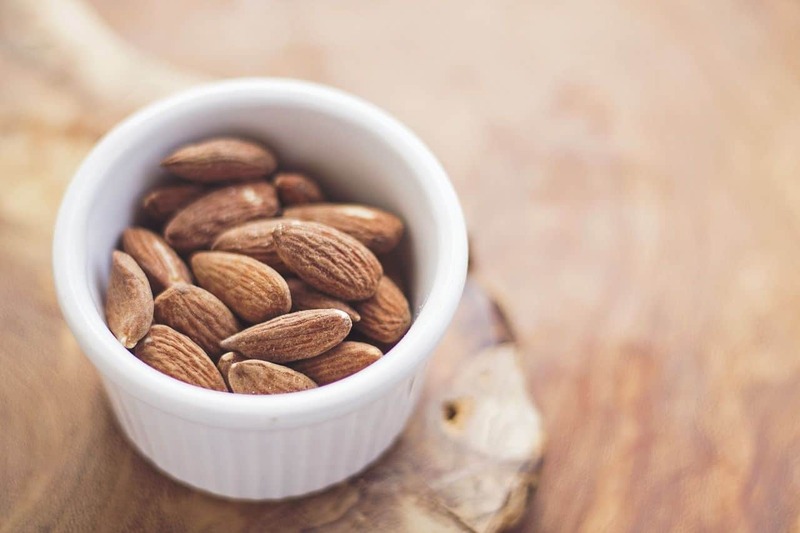 Almonds are a great addition to homemade trail mix or sprinkled on top of yogurt. When buying almonds at the store, look for unsalted packages for a healthier option. 8 g of fiber per 1 ounce serving. Flaxseeds are packed full of nutrition. These little seeds have omega-3’s that are heart healthy in addition to their fiber content. Flaxseeds can be ground and added to smoothies, or mixed with water to form a gel that acts like an egg substitute in baking recipes. 12 g of fiber per 1 ounce serving. I love adding pine nuts to salads, but my favorite way to eat pine nuts is over sautéed swiss chard with lemon. Pine nuts tend to be more expensive than other nut varieties, so buy them in bulk when they are in season and freeze them to use all year long. There are a wide variety of fiber rich foods to choose from to guarantee everyone can find something they enjoy. Eating an assortment of whole grains, fruits, vegetables, beans, nuts and seeds is a great way to ensure you’re getting the variety of fiber your body needs. These foods are heart healthy, help keep you regular, can prevent certain types of cancer, and are a delicious addition to your diet. Feel free to experiment and try new ways to prepare fiber rich foods to keep your meals interesting. I suggest eating intact whole grains rather than just the bran which has been stripped from the rest of the grain. If you are trying to loose weight, I suggest severely limiting avocados and nuts in your diet. I personally only have 1T of freshly ground flaxseed per day. Otherwise this list is great. All my research shows that pine nuts only have 1g of fiber per ounce. Glad I looked into that before buying them because they are spendy. Walnuts are a better choice for my budget. Good info… will continue my research! Thank you for the intelligent article and also for having the information all on one page instead of having them displayed on way too many slides!